Eric Powell, Eisner award-winning creator of The Goon, teams up with Tim Wiesch for a brutal crime drama steeped in mystery this March 2015. In BIG MAN PLANS, even the most marginalized in society can exact revenge if they don’t care how they do it. Wiesch added: “This is going to be dark. Very, very dark. What's been amazing is working with someone who doesn't flinch when you offer up an incredibly visceral or painful part of the story but instead wants to help push it even further. 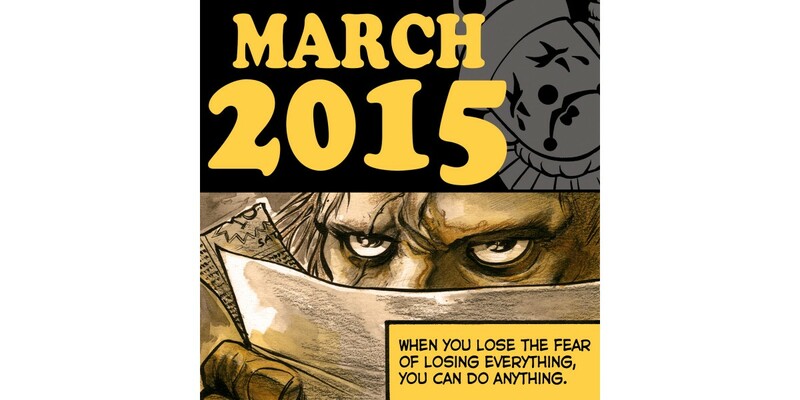 BIG MAN PLANS #1 arrives in stores on 3/4 and can be pre-ordered with Diamond Code JAN150572.